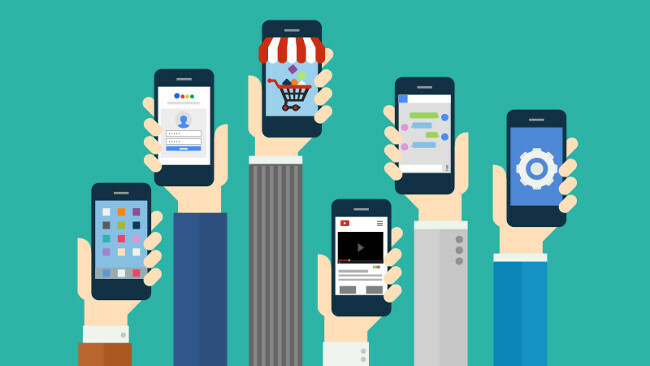 With Google’s announcement that mobile-friendliness will become a ranking signal starting April 21, the time is nigh to optimize your website for mobile. If “mobile-friendly website” has remained unchecked on your company’s ‘to-do’ list year after year, you may want to bump it up in priority. This comes after Google’s announcement last month that starting April 21, 2015, they would be adding mobile-friendliness as a ranking signal. Having a mobile-optimized website has been touted as an SEO best practice for some time, but with Google themselves assuring the update will have a “significant impact” in their search results, it’s no longer simply a nice-to-have. The fact is, it’s time to get with the times or get left behind. So let’s say you’ve bit the bullet, made the commitment and mapped out a plan with your internal team or a vendor to get on board with mobile-optimization. Or, perhaps you optimized your website for mobile a while ago and want to make sure it’s still up to par. How can you be sure you’ll be in Google’s good graces once they pull the switch and mobile search results are forever shaken up? Today, we’re going to examine several resources that can help in crossing your t’s and dotting your i’s with your new mobile-friendly experience. This blog won’t get into the actual execution of a mobile website, but rather, see that it makes the grade once you reach the QA phase. With that said, there are generally three accepted ways to accomplish this: responsive design (using the same HTML across all devices), dynamic serving (separate HTML/CSS per device, but under one URL) and creating a separate URL for mobile (e.g., m.yourwebsite.com). Google has created extensive documentation on how to achieve this, and if you’re on a major CMS like WordPress, it may be as simple as downloading a new plugin (assuming your current theme isn’t mobile-friendly, though many are). Another thing to keep in mind: when it comes to allocating your resources, address your priority pages first. Google has confirmed the mobile algorithm will run in real-time on a page-by-page basis, so if you’re pressed for time, optimize your core pages first and come back to the others. Now, assuming you’re ready to put your mobile website through its paces, here are some ways to do it. After all, they’re the ones deciding where your site will appear in mobile search, right? Google provides several resources for verify your website is up to snuff. With their Mobile-Friendly Test, you can simply paste in your URL and submit. Google will then do a quick analysis of the page in-question to either tell you you’re good to go, or identify any and all issues with mobile-friendliness and outline next steps to address them. To more efficiently crawl your entire website, there’s the Mobile Usability section of Google’s Webmaster Tools (which you do have setup, don’t you?). This report specifically identifies pages on your domain that are suffering from mobile errors, such as use of Flash or font that’s too small. This can be great if you’ve optimized for mobile site-wide and need to delve deep into specific offending pages. If you want a second opinion outside Google, Screaming Frog offers both a free ‘lite’ and paid version of its SEO Spider Tool for performing site crawls (and it’s renowned by SEOs). With a little technical prowess, you can simulate a crawl as the Googlebot for smartphones user agent to uncover potential technical and SEO issues on your mobile site. Another important factor to a mobile-optimized website is ensuring it loads quickly and efficiently. Not only does this matter for SEO (another ranking factor introduced by Google), but a user who has to wait forever for your page to load will likely be back at the search results page whence they came, choosing the next best option. Bummer. To give Google first pick, their PageSpeed Insights offers an in-depth but digestible diagnosis of any load issues plaguing your mobile site. A quick URL analysis will yield scores for Page Speed and User Experience (both out of 100), along with some very actionable advice and specific code snippets – everything from leveraging browsing caching and optimizing images, to having links or buttons that are easily tappable for a smartphone user. The nice thing about PageSpeed Insights is it will show results for mobile and desktop, meaning you might uncover some unforeseen issues on your regular site. Outside of Google, services like GTmetrix will, similar to PageSpeed, identify key elements impacting page speed and supplement each with a grade and priority ranking. The benefit of GTmetrix (in addition to being free for up to 5 URLs) is it’s powered by other widely accepted performance benchmarks including Google’s PageSpeed and Yahoo’s YSlow. This way you know your site speed is being vetted by multiple sources. Some other handy mobile-specific page test services include MobiReady (which shows visual results too), dynaTrace (they provide a free performance test against industry standards) and the mobileOK checker from W3C, the group known for developing Web standards. Better to have too many tests than not enough, right? Beyond site performance and optimization, becoming mobile-friendly begs a valuable question from a user perspective: how does it look? While you may be hoarding iPhones and Androids in-house for hands-on UX testing, there are a number of services that can emulate the mobile experience for you. If you’ve gone the responsive route, Matt Kersley’s Responsive Web Design Testing Tool provides an at-a-glance look of your site in the common screen widths and device sizes. In that vain, solutions like Responsive.Is and the Responsinator give you a fully-interactive experience for testing across mobile as well as tablet and desktop. If you aren’t so concerned with responsiveness and just want to hone in on a specific device, emulators like MobileTest.me or Mobile Phone Emulator allow you to simulate the mobile experience with a suite of popular smartphones from Apple, HTC, Samsung and more. Hopefully these resources can help get you off to the races with fine-tuning your mobile website in time for 4/21 and, if you’re just launching it, earn that coveted mobile-friendly label in Google. As with anything we recommend, search engine optimization should be top-of-mind when creating this experience, which might mean getting help from experts if you can’t accommodate in-house. Are there other tools for verifying mobile-friendliness that you live or die by? Let us know in the comments!